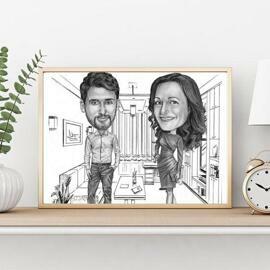 Commission Photolamus to draw a funny business caricature drawing either of woman or man now and you will get a custom-made caricature within 5-7 days. 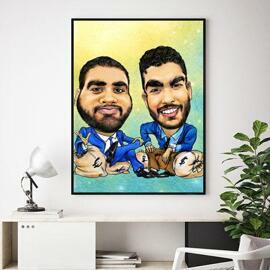 Funny caricature will be drawn according to your requirements and uploaded photos. 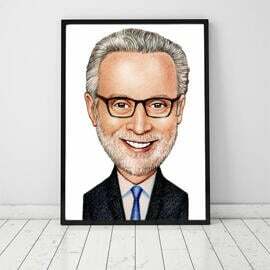 Person on caricature will be depicted from photo but his face will be exaggerated in a high level. Mention below any ideas of background design or upload an image of it. 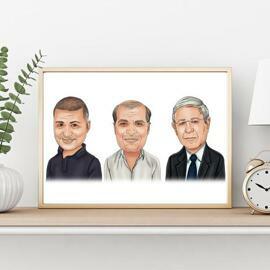 Funny caricature drawing can be drawn as a gift for your friend, colleague or employee as well as you can order a caricature of yourself. 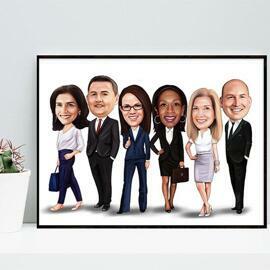 Digital caricatures are delivered as JPG File on Email. 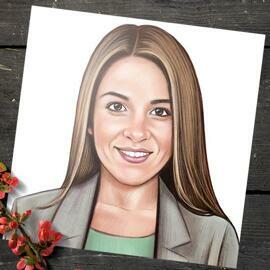 After your approval you will get a final version of caricature of high resolution on Email for its downloading via link. 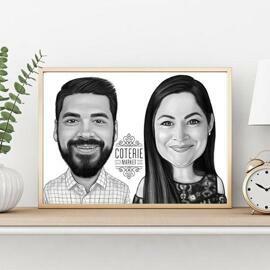 Besides, digital file of ready-made caricature, we can print your drawing on Canvas, Photo Paper or White Ceramic mug of the selected size. 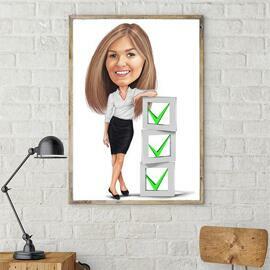 Any printed product can be shipped worldwide.